In celebration of The Rake's 10th anniversary, we recently dropped into one of our favourite luxury brands, William & Son, for a spot of backgammon on one of its handcrafted leather boards. Founded in 1999 by William Asprey, the company has grown to become Mayfair’s go-to luxury destination for Town & Country living. From the finest jewellery and timepieces, leather goods and homeware, William & Son also produce impeccable attire and accessories for the field. The majority of William & Son’s own collections, including the iconic backgammon boards, are produced by British craftsmen, working across the company’s manufactures, all based in the United Kingdom. When it comes to playing backgammon, reputedly one of the oldest board games in the world, there is no greater treat than to play on one of William & Son's leather boards. Handcrafted by specialist artisans in their Canning Town workshop in London, the leather boards elevate the oldest game in the world to a level of exquisite contemporary luxury. The ancient Egyptians played a game called 'senet', which resembled backgammon, while recent excavations in Iran showed that a similar game existed there around 3000 BC. 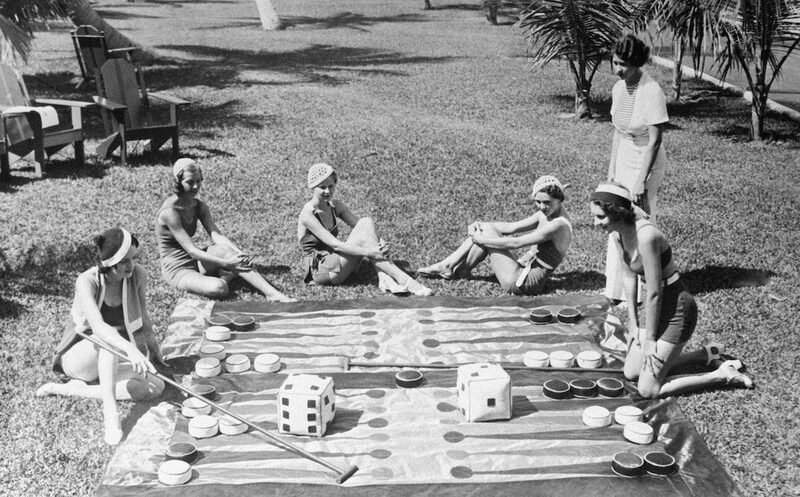 But it wasn't until the 11th century in France that a version of backgammon became popular among gamblers. In 1254, Louis IX of France issued a decree prohibiting his court officials and subjects from playing the games, advice clearly never passed on to the infamous Lord Lucan who is said to have accrued massive debts, some of which came from his passion for backgammon.